14 August 2010: The social and political culture of authoritarianism in Mexico, from the time of its break from Spain, when Iturbide made himself emperor (Augustin I, 1822 to 1823) in lieu of any European interest in the position, to the passing in recent years of laws allowing the military to exercise policing powers, appears to be fissuring; the first small crack was, perhaps, the Constitution of the United Mexican States of 1917, which also saw the birth of the party (the Institutional Revolutionary Party, or PRI) that dominated Mexican politics until nearly the beginning of the twenty-first century (and still does, in many respects); the most recent, and by far the most significant, was the creation in March 1994 of the Association of Mexican Municipalities (AMMAC). In the words of the International City/County Management Association (ICMA), "AMMAC is an example of a new association that is standing up for local government and working to ensure that they will have the skills to meet the challenges involved in service delivery and improving the lives of citizens". In other words, the international trend of decentralization of power is not leaving Mexico behind, however much resistance is exerted by Mexico’s strongly ‘presidentialist’ governmental tradition. As a Federal Republic, there are executive, legislative and judicial arms, with power overwhelmingly concentrated in the executive: there is no vice president; one of the ways the President, who is elected for one six-year term, exercises profound influence is through his Constitutional privilege of deciding which members of his party will run for office, which results in fast bonds of loyalty. The legislature consists of a Chamber of Deputies and a Senate. In the judiciary, the Supreme Court does little more than echo the pronouncements of the executive. There are in Mexico 31 states, plus the Federal District, where the capital, Mexico City, is sited; the governors of the states are directly elected to six-year terms. The governor of the Federal District is appointed by the President, as was, until 1993, the Mayor of Mexico City. States contain municipalities of vastly different sizes (altogether some 2, 411 of them), but Mexican municipalities are more like what in the United States are called counties. An example of the sort of obstacle faced by AMMAC is the ingrained tradition whereby the vast majority of the tax funds collected have been obtained by federal agencies. The predicament in many countries of local governments without financial fuel has thus been even more true in Mexico; one difference, however, has been that in Mexico, prior to AMMAC and apart from the desperate efforts of indigenous and other rural folk to come to terms with the reality of their day to day lives by, for instance, organizing their own village police forces (which is a practice that continues), there was not even the pretence that responsibility was something localities ought to have. The federal government had, until the mid 1990s, control over the provision of most of the public services that, in countries like the United States and Canada, Mexico’s partners in NAFTA, have long been the domain of municipal governments; consonant with such sway, what embryos of local government existed did so in isolation, which inevitably stopped their development. One of the greatest challenges to the evolution of local government in Mexico, however, illustrates the extent to which history and culture must be taken into consideration in order to understand present reality: the centre of gravity being located not in the best interests of the citizenry, but in the ability of the top job to attract the kind of personality most predisposed to imposing order on chaos, is reflected throughout descending strata of government. On the principle that the most important thing about the mayor’s office is that as many candidates as possible should have the opportunity to hold it, mayors in Mexico (with the exception of the Mayor of Mexico City, who has a six-year term) are elected for one brief, three-year term, and cannot be re-elected. There is thus little incentive, if it is needed, to do the job in such a way as to make likely one’s return. Mayors have municipal councils, who are indirectly elected, also for three years. ‘Mayors’ in Mexico are actually called ‘municipal presidents’ (presidente municipal). A different official represents the city legally; the greater (than in Canada and the United States, for example) influence from continental Europe means that the principles on which areas of law are categorized are, often, also different. In 1984, then President de la Madrid noticed the Mexican in the street’s perception of the degree to which such unbalanced centrality was not working for him and, with a mind to extending the already long supremacy of the PRI yet further, initiated reforms that led to amending the Constitution so that municipal governments were able to raise more of their own money and start using it. In 1988, then President Salinas instituted a program for sending more federal money directly to the local level, precluding state-level interference. 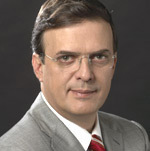 Concurrent electoral reforms, not least against fraud, allowed opposition parties, primarily the PAN (National Action Party) (to which current President Felipe Calderón belongs) and the PRD (Party of the Democratic Revolution) (to which current Mexico City Mayor Marcelo Ebrard belongs), to make crucial advances. Changes brought about through consensus have included reinforcing electoral bodies’ independence and lessening the capacity of private financial contributions to political parties to influence policy by enhancing public financing. Another major step was taken in 1989, when Baja California elected a governor who was not a PRI member. 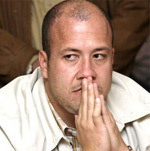 In 1992, Jorge Hank Rhon elected Mayor of Tijuana in 2004 tried to emulate another mayor who had obtained a large amount of money through ‘connections’, but was rebuffed. The reality of political bias having thus been brought home to him, the Mayor of Tijuana, at a political event, discussed it with some colleagues, in particular the then Mayor of Mazatlan, who had just absorbed ideas about horizontal local government associations on an exchange trip to Germany. Thus was created Local Governments for Autonomous Local Government, consisting of about 18 elected mayors. They established their constitution in 1994, with another 50 mayors looking on. Although the 18 were all PAN members, they emphasized their new group’s non-political basis and, also, that membership was not confined to mayors or council members, but was “the whole municipality as an institution”. In that way they obviated the challenges of mayors being limited to one short term and of party allegiance; the decisions to join and to commit funds are made by the whole council.